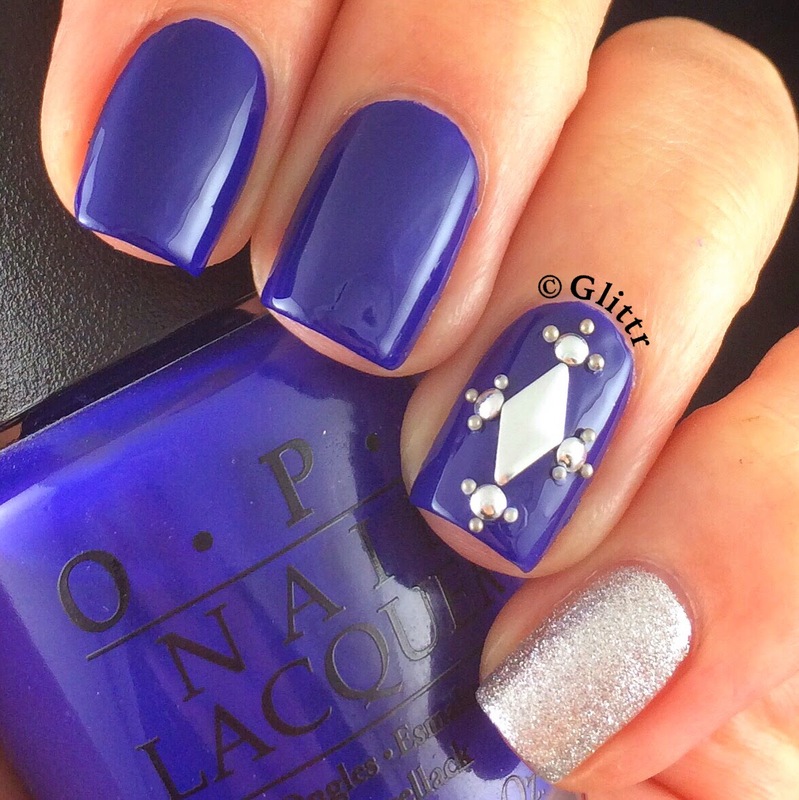 quick post on my studded out mani! 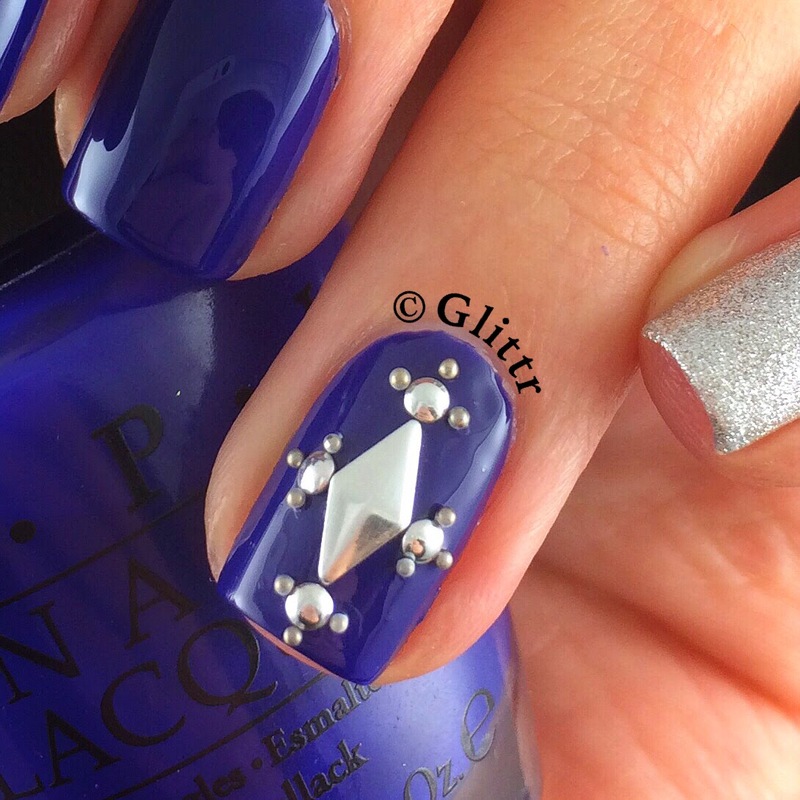 I really wanted to step out of my comfort zone and try a little stud placement, so I used some different sized studs and microbeads to create my accent nail! My base is OPI Eurso…Euro, a gorgeous deep royal blue. On my pinkie I have a little accent of OPI This Gown Needs A Crown, one of my favourite silver polishes. Wow, I'll have to get some of those diamond shaped decals and try something like this myself. It looks amazing. Thanks for sharing and inspiring all your visitors to greater things.